Our food heritage takes the spotlight as the Singapore Food Festival 2017 hits town again. 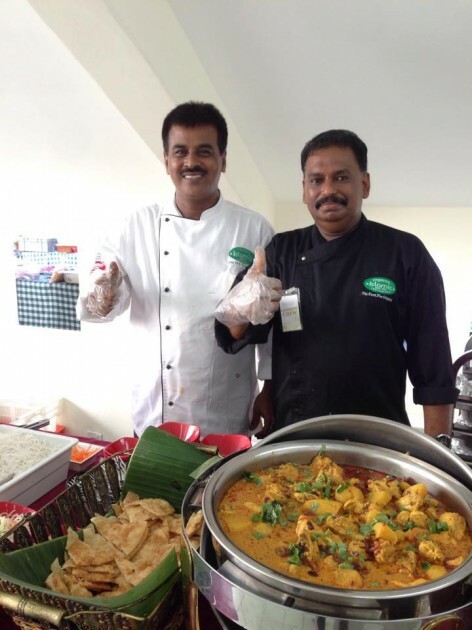 Themed Savour Singapore In Every Bite, it offers a series of events for locals and visitors to discover Singapore through food, such as the Heritage Food Trail, which highlights Singapore’s Peranakan culture with a walking trail around Joo Chiat, Singapore’s first Heritage Town. 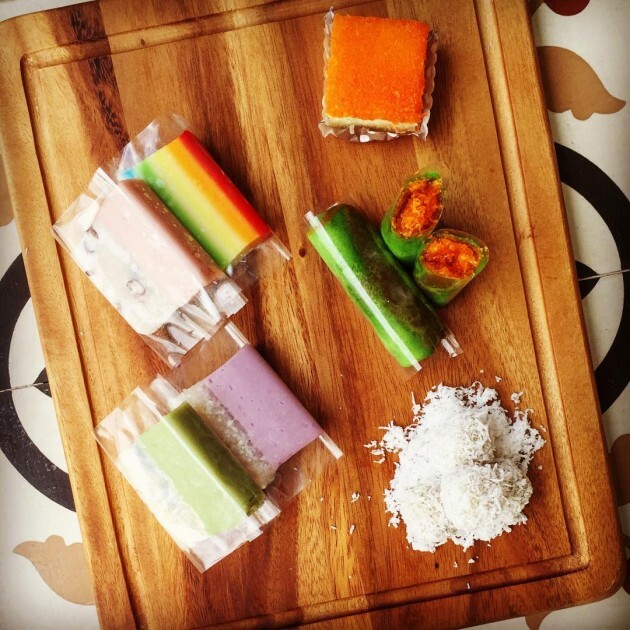 An absolute behemoth in the ang ku kueh game, Ji Xiang has been churning out multicoloured turtle shells of sweet decadence since they set up shop at Everton Park in 1988. 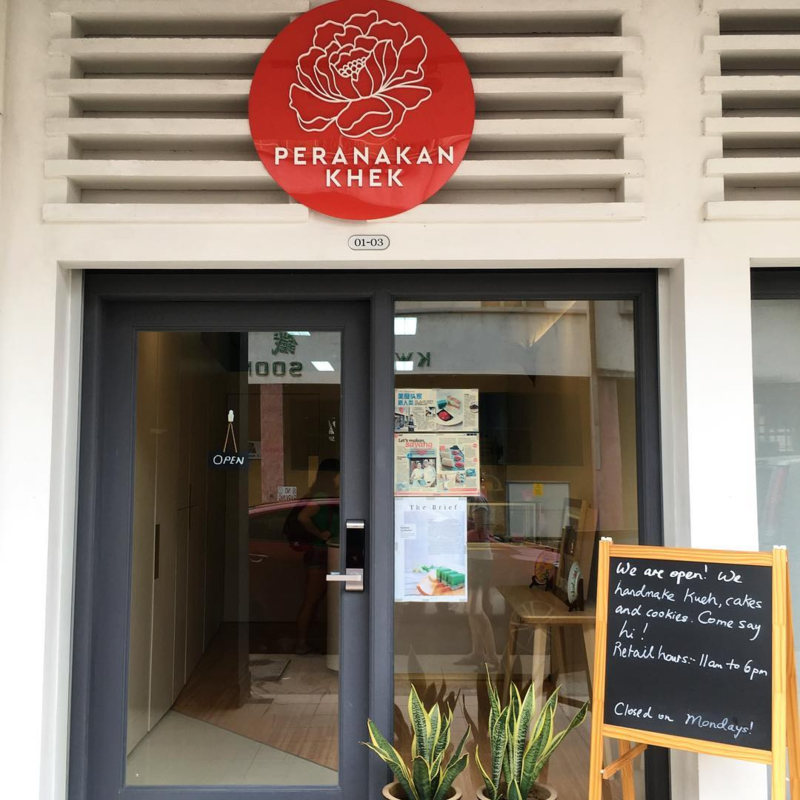 Take a peek inside the store and you will be rewarded with tables of craftsmen hunched over mounds of dough and various fillings, painstakingly assembling each kueh by hand. Opening Hours: Monday to Saturday 8am - 5pm. Closed on Sunday & Public Holidays. There’s just something thoroughly heartwarming about a nice piece of peanut pancake. 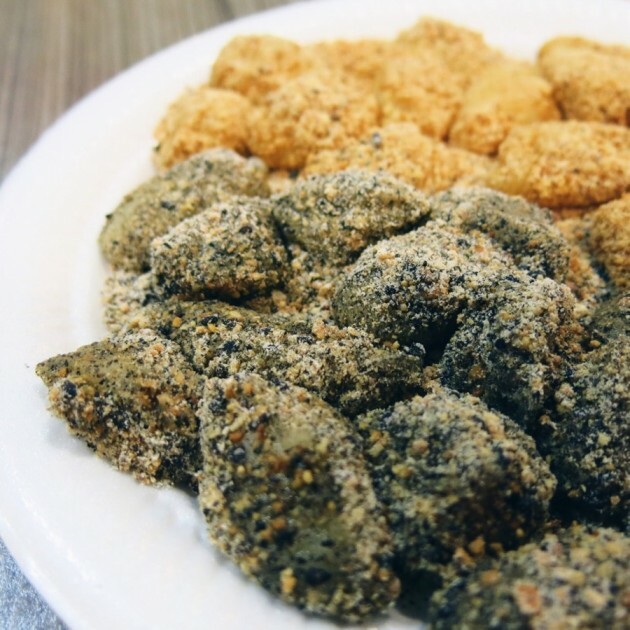 Never mind the fact that there’s no way to glamorously eat this snack without eventually ending up in a pool of peanut and sugar bits, min chiang kueh has been a staple breakfast food since our parents were still dating. 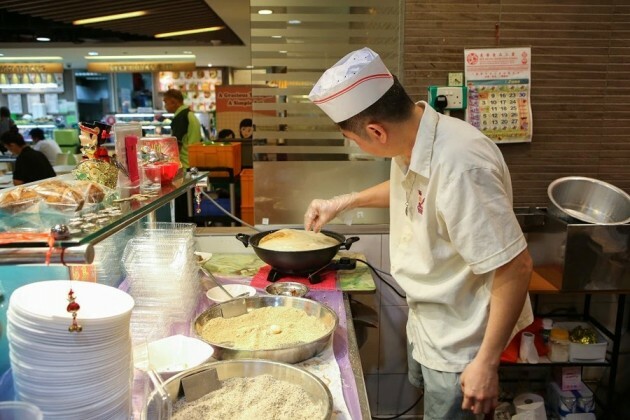 Tucked away in Tanglin Halt Market lies a stall that serves up peanut pancake in all of its authentic gummy goodness. What makes this peanut pancake (60 cents) so original is that they still use their own mother dough (which can be traced back to the 60’s) to initiate the fermentation process for every batch of batter. Doing so results in more complex savoury flavours, making the batter… better! 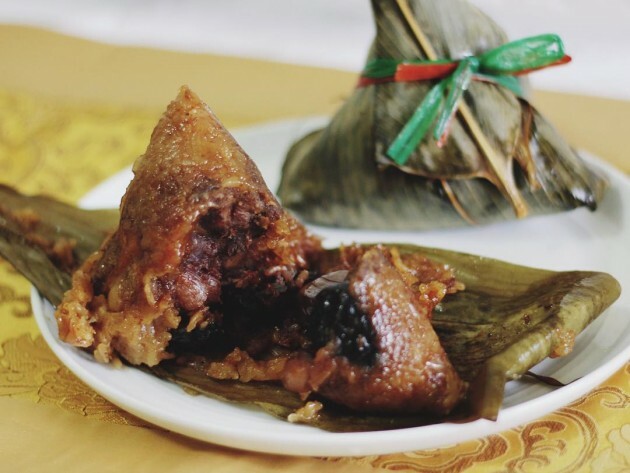 In the 50s after the death of her husband, Madam Chia Nguk Eng started peddling glutinous rice around Tiong Bahru as a means to support her two boys. 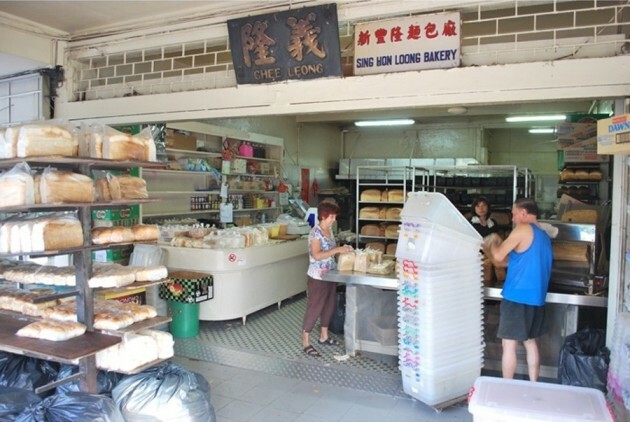 Eventually, they moved to Tiong Bahru Market in the 60s, remaining a nameless stall selling glutinous rice and various kueh. The name HarriAnns was coined by Mdm Chia’s grandson, who was inspired by his parent’s names: Harry and Ann. In the spirit of preserving the home-made feel of their nyonya kueh, HarriAnns still roll ondeh ondeh and squeeze coconut milk by hand. Preserving this attention to detail is exactly why third-generation owner Alan left his cushy corporate job to take over the business he had named as a teenager. 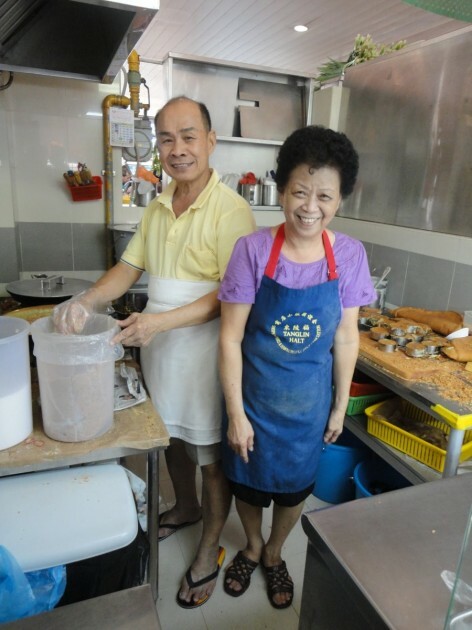 Apart from their original stall at Tiong Bahru Market, HarriAnns' handcrafted kueh can also be found at a cafe in Bugis. 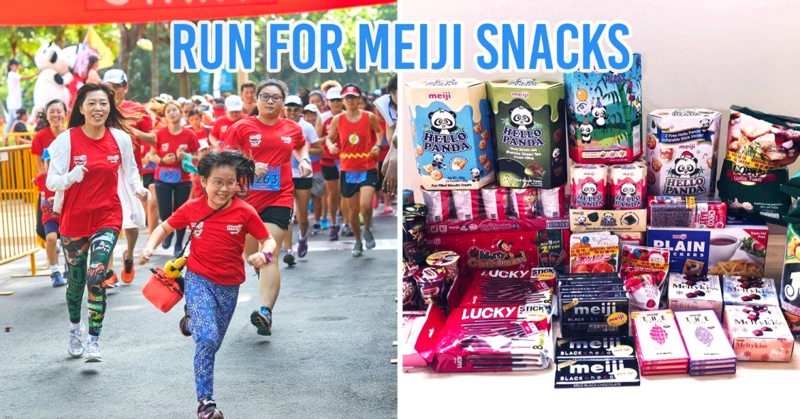 They will also be taking part in Kueh Appreciation Day on 23 July 2017 at ToTT @ Dunearn store in hopes of bringing traditional treats to a new generation of Singaporeans. Entry will be free, and on top of HarriAnns' nyonya kueh, you'll get to sample various Teochew, Hokkien, Hainanese, Hakka, and Eurasian kueh. 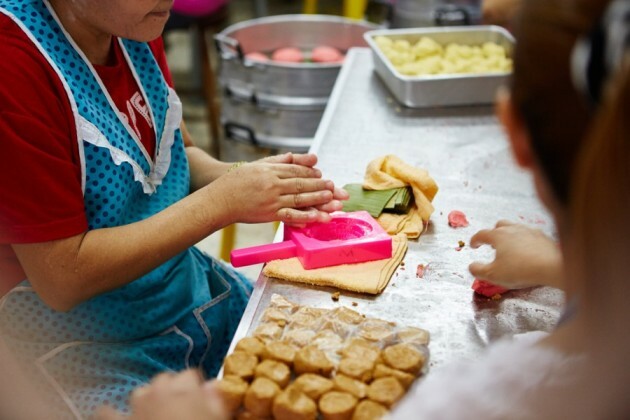 And if you want to get hands on, learn from kueh-making demonstrations and make your own at masterclasses too. 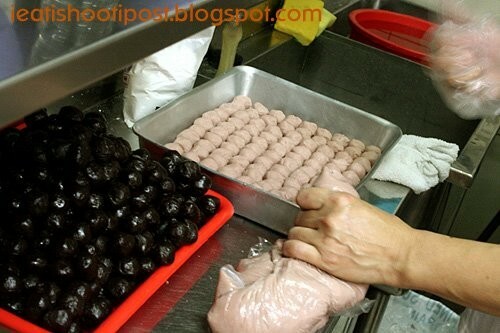 Hougang 6 Miles Famous Muah Chee is a bit of a misnomer, because they are located in Toa Payoh. Boss Mr Teo makes the muah chee by hand, and is probably the last muah chee man in Singapore who still does everything from scratch himself. Instead of being rudely snipped off, each bit of muah chee is gently pulled away, and smudged with a dab of shallot oil before taking a dip in the playpen of fragrant ground peanut or black sesame. The shallots add an extra depth to the already spectacular dough that somehow manages to toe the line between chewy and sticky. Each pack starts from $2.50, and you get to take home 3 generations’ worth of family tradition. Just look at the man go. Once upon a time, villagers threw bak chang into the Miluo River to distract fishes from the body of poet Qu Yuan, who drowned himself after being accused of treason and seeing his home state conquered. These days, though, we throw bak chang into our mouths and mourn the state of our intricately-planned diets after. And there are few places more appropriate than Kim Choo Kueh Chang to get that bamboo leaf-wrapped shot of carbs. Opened in 1945, Kim Choo Kueh Chang has changed the way we think of a delicacy originally only available once a year. They also host culinary classes and handicraft workshops apart from serving up their hand-made bak chang ($1.70) and various kueh. 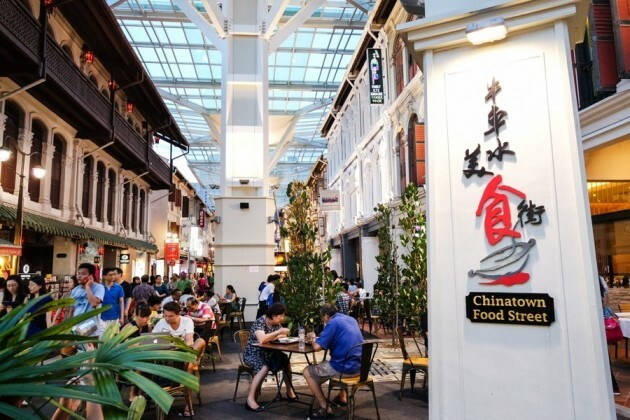 On the last 2 Saturdays in July 2017 (22 and 29 July), Kim Choo Kueh Chang will be organising the Heritage Town Festival under the Singapore Food Festival 2017, giving you a crash course on Peranakan cuisine and culture. 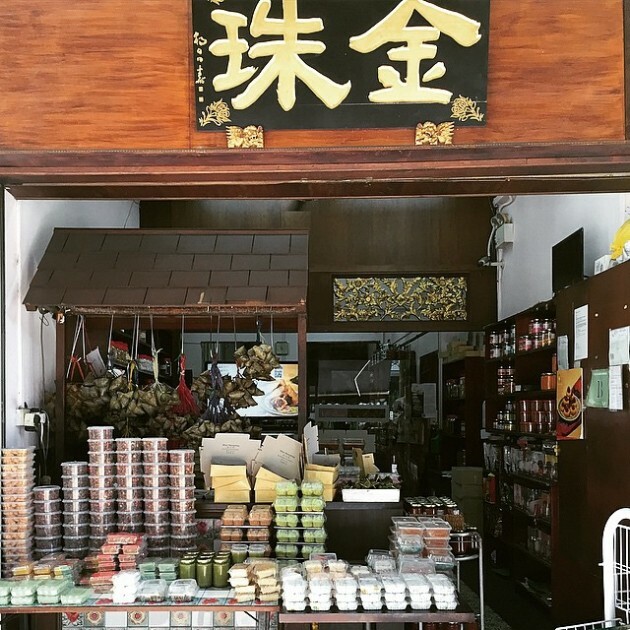 Go on a Heritage Food Trail, where you'll learn how to make ondeh ondeh, sample Peranakan dishes during a guided tour of Katong and Joo Chiat, and end the day with a tour of Rumah Kim Choo. Sign up for the tour here! Once upon a time, there was a man who looked at the smoky magnificence of satay and wondered if the magic of charcoal fire could also enhance the taste of laksa. After all, the combination of thick bee hoon, crunchy beansprouts, and succulent fresh cockles served with a spicy-yet-sweet broth enriched by coconut milk was simply not enough. No. He needed charcoal. That man was a genius, and eventually set up stall at Jalan Besar, peddling little bowls of heaven like a legal Heisenberg. The best part? He sold each hit at only $2. Unfortunately, inflation hits even the most earnest of uncles, and Sungei Road Laksa goes for $3 these days – at least the price increase is mitigated by the slightly larger serving. Some things do remain, though – this stall still only offers spoons only for diners to dig in. Also, they have quite possibly the greatest website in Singaporean hawker history. Opening Hours: 9.30am - 5.30pm. Closed on every 1st and 3rd Wednesday of the month. True Balestier Road foodies would know that bak kut teh isn’t the only reason to head down that stretch that is inexplicably dotted by half of Singapore’s lighting shop population. 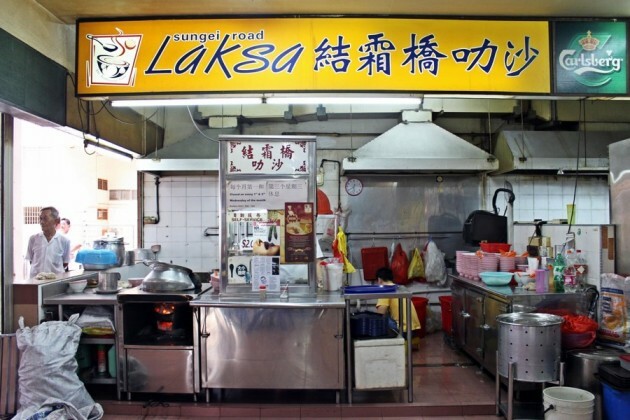 Balestier Road was also once the scene of a no-holds-barred pastry war, housing 4 tau sar piah shops along a single 500m row of shophouses. Today, only two remain, Loong Fatt being one of them. 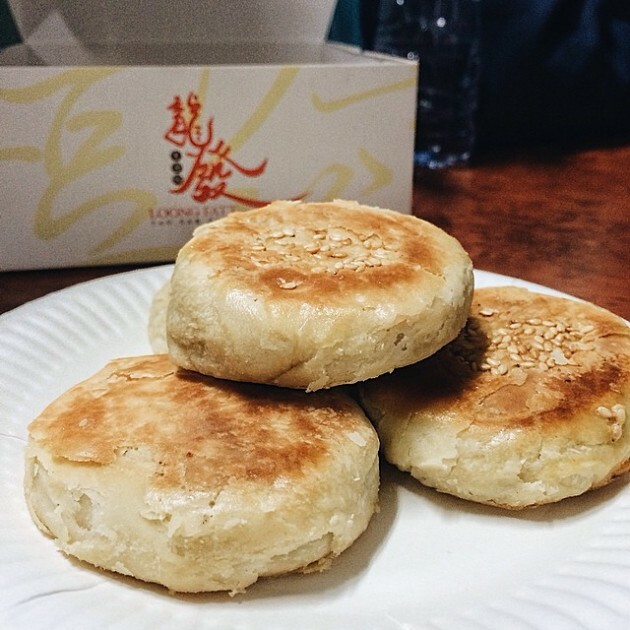 At 60 cents a piece, Loong Fatt’s offerings are crisp, buttery, and flatter than usual. Best of all, the pastries are served warm, because of the perpetual queue of customers pounce on them as soon as they emerge from the oven. These sweet and savoury tau sar piahs may not look like much, but they are little pockets of pastry heaven. Like clockwork, battered bread moulds filled with mounds of snow-white dough enter the ancient oven as charred black loaves of bread exit. Shirtless middle-aged men then line up in pairs to expertly shave off the blackened bits to reveal a bouncy pristine white interior. These loaves are real-life diamonds in the rough, except diamonds never tasted this good. With such a simple name, Islamic Restaurant must either be very confident in their food, or terribly misguided. No chance of the latter here as, thankfully the biryani doesn’t disappoint, featuring firm basmati grains accentuated by the heady aroma of spices. The recipe here has been passed down for generations, featuring only minor changes from the one created when the restaurant first opened way back in 1921! With its long history, Islamic Restaurant has hosted numerous luminaries, including late President Yusof Ishak. It counts foreign dignitaries among its fan base too; Malaysian PM Najib Razak is notably among them. 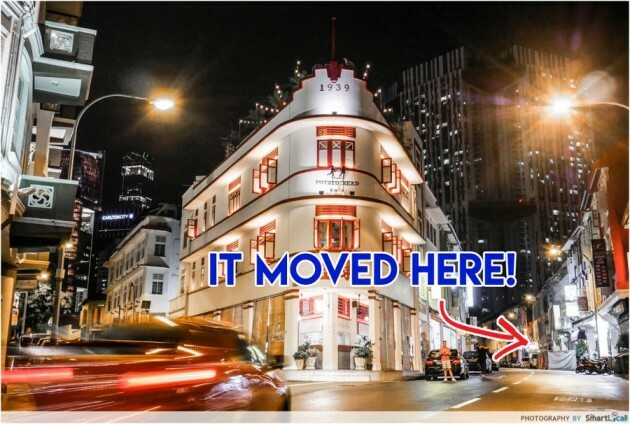 At the intersection where Keong Saik and Teck Lim Roads meet lies Singapore’s most photographed road corner, but there’s something you never knew about this distinctive red-and-white building - it used to house a coffeeshop on its first floor! 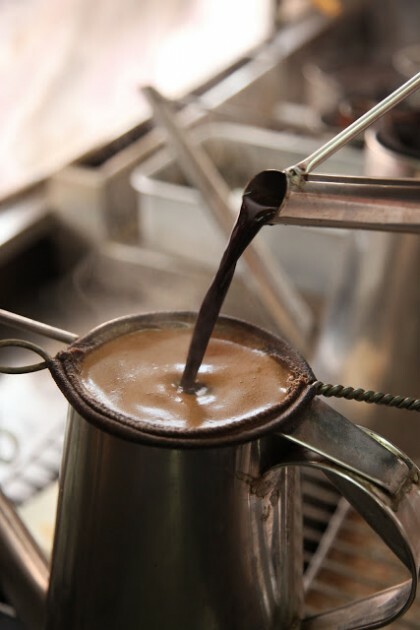 While the original Tong Ah Coffeeshop has moved to a spot just opposite its original location, the 77-year-old joint still serves up coffee made with traditional filtering socks. Opt for the ‘super crispy toast’ – think traditional kaya toast on steroids. 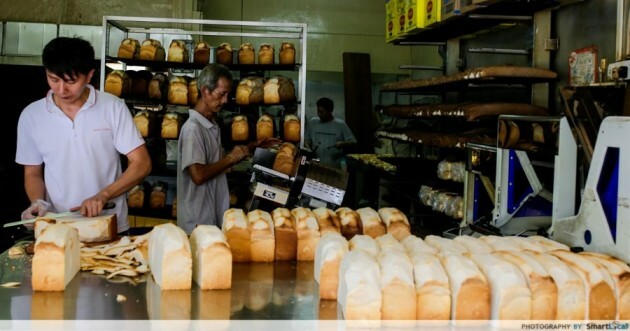 Fluffy white bread is toasted three times, while a condensed milk can scrapes charred parts away after each round. 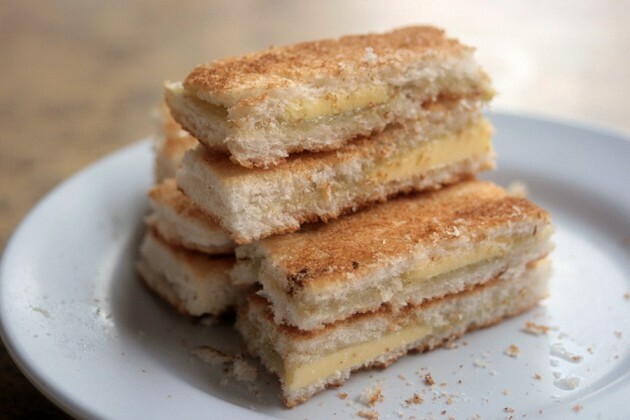 What’s left is almost wafer-like crisp thin pieces of toast revealing homemade kaya with each bite. Come for the ah balling (an infinitely fun-ner way of saying ‘glutinous rice balls’), stay for the peanut soup. This stall has long satisfied NSFs after getting their essentials at the Army Market located upstairs. The traditional peanut soup has been stewed for hours until the peanuts simply disintegrate upon touch. Which I guess makes the soup more of a stew, but this is a sweet soup. Or a sweet stew? Ah ballings come in the classic sesame and peanut fillings, and are complemented by newfangled yam and red bean cousins. 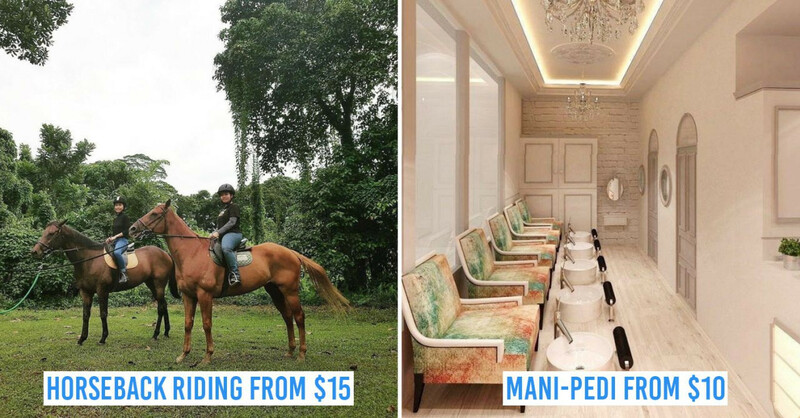 Contrary to the other stores on this list, Peranakan Khek is the new kid on the block. The little shop opened in 2016, nestled in the Jalan Besar area, with big ambitions to bring back the old-school way of making kueh. 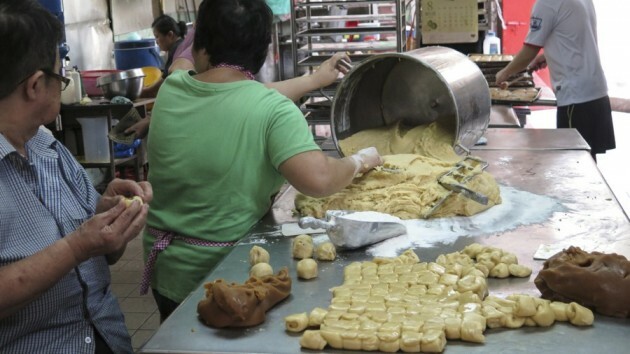 Remarkably, instead of being churned out in a factory, each nyonya kueh sold here is painstakingly handmade, using traditional ingredients such as freshly-squeezed coconut milk and pure palm sugar. It’s definitely worth the trouble. 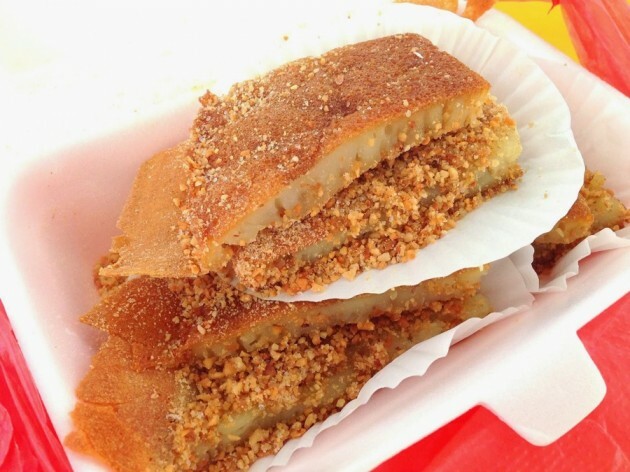 You’ll understand when you try the kueh putugal ($2/piece) made from soft steamed tapioca fudge coated in grated coconut. And if you want something lighter, the fluffy gula melaka chiffon cake ($2/slice) will have you reaching out for slice after slice. 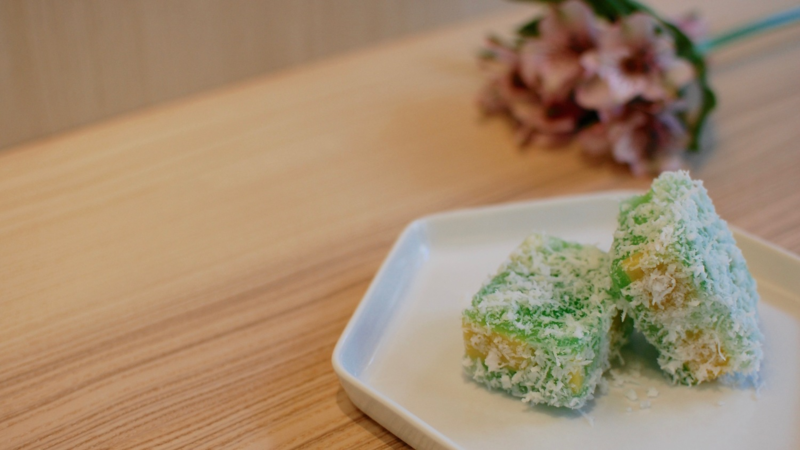 Peranakan Khek’s kuehs and cakes are usually so popular that you need to order from the stall’s website AT LEAST three days in advance. 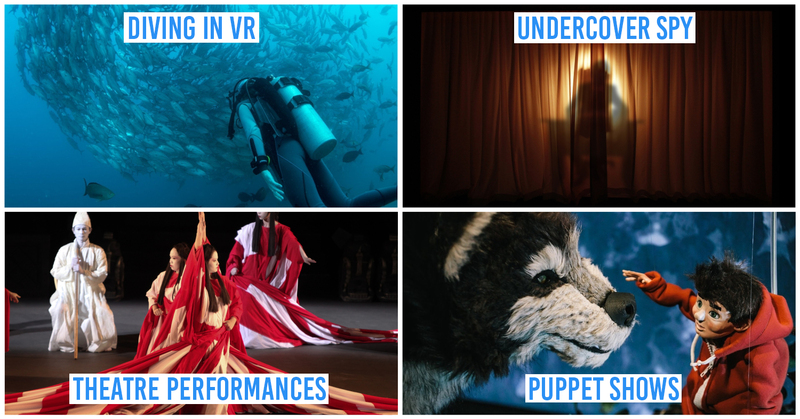 But on 14 and 15 July, head down to Clifford Square to skip that. 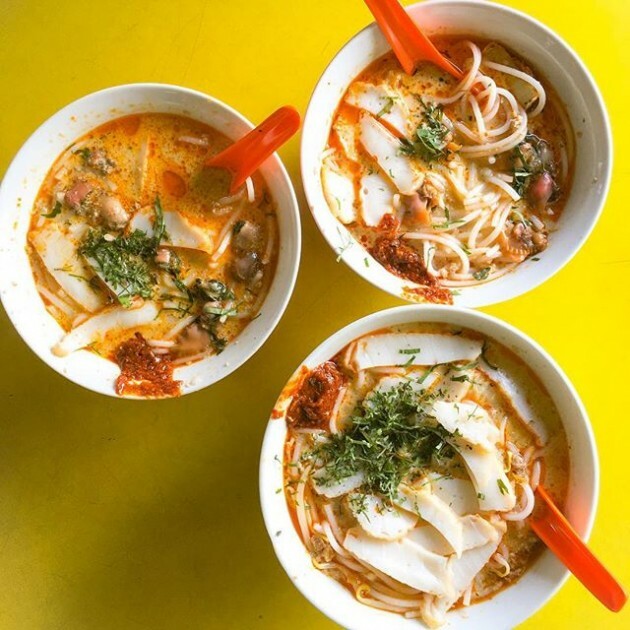 It’ll be one of the stalls featured at STREAT, the signature food event of Singapore Food Festival 2017, where you can try local faves or mod-sin dishes in an outdoor setting. Opening Hours: Wed - Sat 11am - 6pm, Sun & PH 11am - 5pm. Closed on Mondays and Tuesdays. 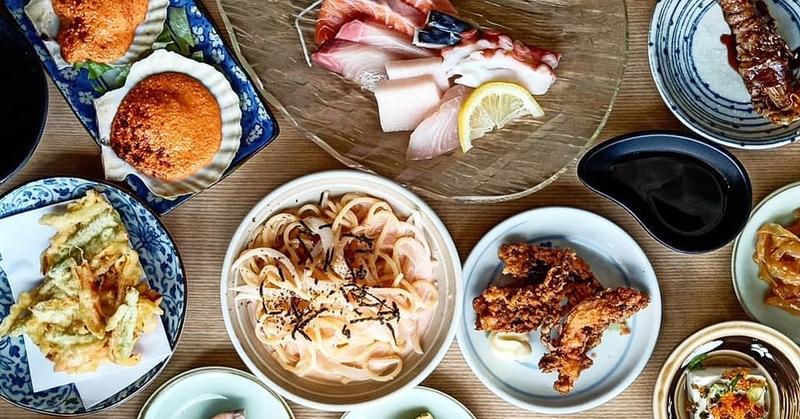 For more traditional experiences, head down to the 2017 Singapore Food Festival. 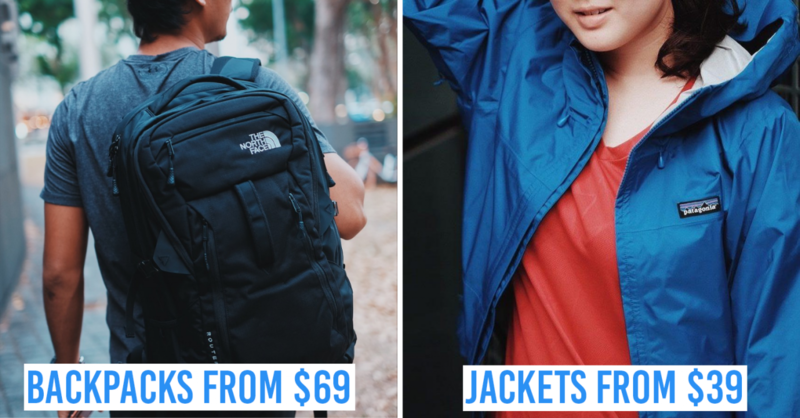 Highlights include The 50 Cents Fest: Those Years, where Chinatown Food Street will turn the clock back to the 1980s and be transformed into a haven for street food. Imagine your parents’ dating days of yesteryear with simulated radio song dedications and old-school treats like ice balls and abacus seeds - these are selling for between just 50 cents and $2.50! As seen in the above veteran stalls, much of our food heritage is found in our long-standing hawker scene. And so at Hawker Spotlight 2017, Moses Lim will lead a food hunt to the iconic Maxwell Food Centre. 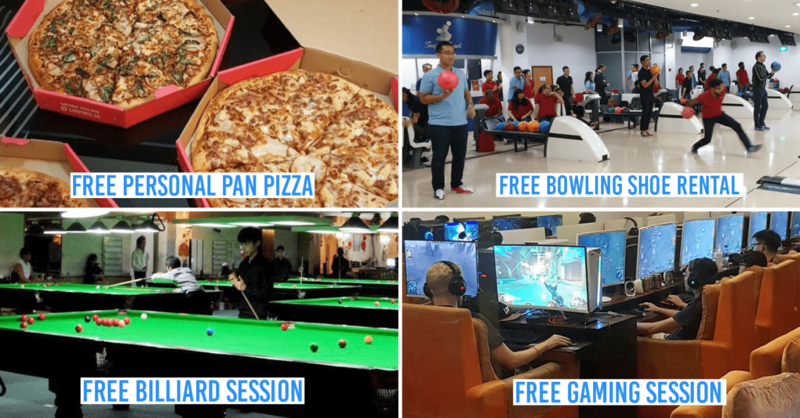 Here, lucky members of the public - who will be handpicked by Moses Lim through an impromptu on-site contest - can join in the hunt and maybe even try frying their own hum jin pang. Hopefully, you'll walk away with a renewed appreciation of the uncle who's been plying his trade for years - and fingers crossed, for more to come. 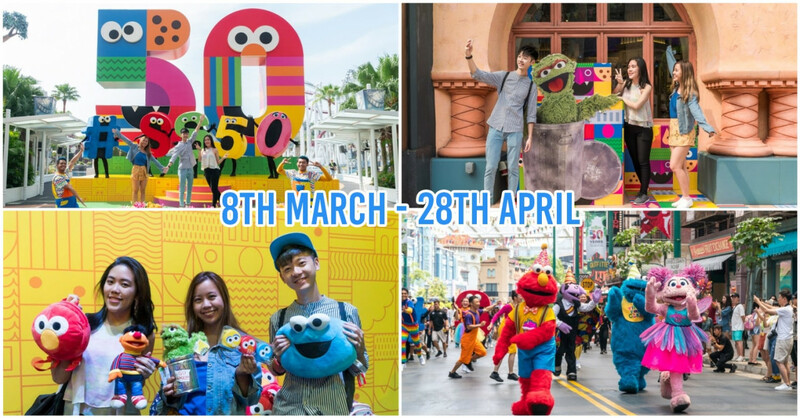 Find out more about Singapore Food Festival 2017! 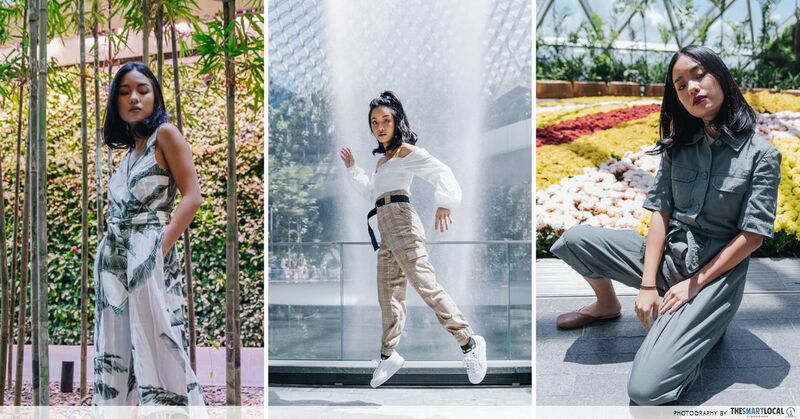 This post was brought to you by the Singapore Food Festival 2017. 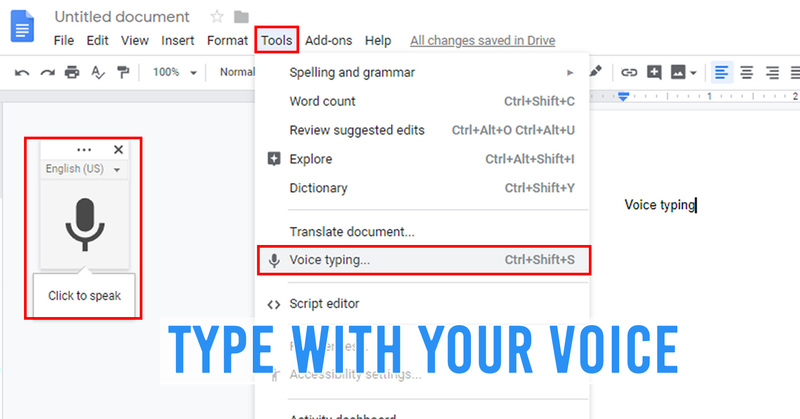 Article updated in June 2017 by Jessica Lai.